Dr. Arnold Washton and Dr. Lori Washton, a husband and wife psychologist team, founded The Washton Group with a mission to provide individualized treatment options for alcohol and drug problems in a discreet private practice setting. Their specialized services are designed for motivated high-functioning individuals wanting truly personalized, empowering, confidential help for substance use and other behavioral health issues. As psychologists, they bring a unique clinical perspective and sophisticated skill set to the treatment of substance use and other problem behaviors. They have the professional training and expertise to diagnose and treat the full spectrum of substance use issues ranging from problematic use to full-blown addiction and a wide range of behavioral health issues such as anxiety, depression, trauma, self-esteem, and relationship problems. They also have the ability to integrate a psychological understanding of substance use with behaviorally-focused strategies that facilitate both immediate and lasting change as well as placing these issues within the broader context of each client’s life rather than focusing narrowly on a single problem behavior. In their view, alcohol and drug abuse are problem behaviors—they do not define a person’s identity or personality. Above all, they appreciate the overriding importance of developing a positive therapeutic relationship with each and every client as the foundation of what empowers them to help clients change. 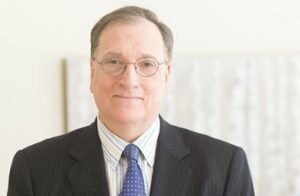 A widely known clinician, researcher, and published book author, Dr. Arnold M. Washton has dedicated his professional career to developing flexible individualized approaches to treating substance abuse and related mental health problems. He has directed both inpatient and outpatient addiction treatment programs in New York, New Jersey, and Florida. He has served on the faculty of the NYU School of Medicine in the Division of Alcohol and Drug Abuse and as substance abuse advisor to the White House Office of Drug Abuse Policy, the US Food and Drug Administration, special committees of the US Senate and House of Representatives, the NYC Mayor’s Office, professional sports teams, the National Institute on Drug Abuse, and the New York State Senate. A prolific writer, he has published over 50 articles in scientific journals and nine books including a self-help book “Willpower’s Not Enough” (HarperCollins) and a professional textbook “Treating Alcohol and Drug Problems in Psychotherapy Practice” (Guilford Publications). Dr. Washton is a licensed to practice psychology in the states of New Jersey, New York, and Florida and holds national proficiency certification in addiction psychology from the American Psychological Association. Click here for information on Dr. Arnold Washton’s books, other publications, and additional resources. Dr. Loraine J. Washton is a licensed clinical psychologist specializing in the treatment of substance use and a variety of other mental health problems. 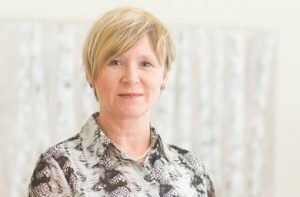 Over the past 25 years, she has worked in a wide variety of treatment settings, including outpatient mental health clinics, psychiatric hospitals, substance abuse treatment facilities, specialized programs for treating women suffering from a combination of trauma and addiction, and private office-based practice. Dr. Washton’s therapeutic approach incorporates cognitive-behavioral, stress management, emotional regulation, and psychodynamic techniques. Her practice encompasses the treatment of mood, anxiety, substance use, obsessive compulsive, post-traumatic stress, and personality disorders, as well relationship and self-esteem issues. She maintains a special interest in treating adolescents and young adults who remain stuck in their personal, academic, and/or vocational development by a combination of substance use and possibly other mental health concerns compounded by family discord and conflicts that often accompany these types of problems. Dr. Washton is an expert at engaging reluctant adolescents and adults in a respectful, productive dialogue that helps them sort out what they truly want and then develop a plan to help them work toward realistic self-selected goals. Dr. Washton also maintains a strong interest in women’s mental health issues and, accordingly, a portion of her practice is devoted to providing individual psychotherapy for women in addition to conducting a weekly support group for women that addresses substance use and other behavioral health issues. Dr. Washton is licensed to practice in both New Jersey and New York. Drs. Arnold and Loraine Washton can help you overcome problems with substance use and other issues. For more information and to schedule your private consultation, please call us at (609) 497-0433 or fill out the contact form on this site.